The contract packaging industry serves diverse functions, furnishing solutions for packaged goods across nearly every consumer sector. As a result, packaging reflects a range of influences, from personal consumer preferences to larger economic forces, like free-market competition and mass marketing. In order to stay one step ahead of evolving demands, contract packaging companies respond to shifting consumer behavior, continually striving to meet the needs of producers, retailers and end-users. The key to success for contract packagers in 2015 lies in their ability to push the envelope on packaging innovation, while maintaining a strict focus on economy and sustainability. Finding the proper balance between cost-effectiveness and merchandising impact remains central to contract packaging success, which now calls for responsible environmental practices and high levels of package customization. Consumer awareness about environmental issues is peaking alongside producers’ demand for economical packaging options. As these forces converge, creative contract packagers will continue to turn to earth-friendly alternatives and ecologically sound package designs. Packaging materials fall in and out of favor over time. This trend has moved consumer packaging away from paper and cardboard, in favor of streamlined plastic materials. In a retro shift, paper packages are sometimes emerging as the most environmentally friendly options, replacing plastics and other materials that aren’t always recyclable. Contract packagers should once again see growth in the use of certain materials, which may actually see a return to more traditional options. In addition to adopting socially responsible production and packaging practices, contract packaging providers will continue to respond to the rising cost of materials. Plastics used for packaging are petroleum byproducts, so the price of petroleum will continue to shape packaging decisions. In 2015, package redesigns will strive to reduce the total amount of materials used, resulting in greater economy and responsible packaging ecology. Technological advances continue to drive contract packagers toward innovative solutions. Consumers’ demand for creative new packages will not let up in 2015, as buyers seek convenience and enhanced functionality from their products. Specific contract packaging sectors will be impacted more than others, like the food packaging industry, which continues to respond to shoppers call to reduce food waste. More than 18 million tons of food make it to landfills each year, in the UK alone, so global consciousness continues to influence packaging decisions, calling for better shelf life and portion packaging. Reusable and sealable packages are poised for growth too, as portability and serving-size packages continue to resonate with consumers on-the-go. Data gleaned from the recent PACK EXPO 2014 show growth trends in flexible packaging and using improved films to replace rigid containers, as well as security improvements to thwart tampering and counterfeiting. Child safety is another chief concerns shared by contract packagers and their customers, calling for effective child resistant containers. As producers and consumers demand greater accountability among packagers, there is also increased attention being paid to flexibility and package customization. The trend will not wane in 2015, as contract packagers partner with retailers to create unique shelf presence. As part of the trend, contract providers will use smaller production runs to maximize the impact of custom options. Seasonal specials and promotions, for example, will be closely linked to package labels that can be easily altered for pinpoint merchandising. Increased collaboration between packaging contractors and the manufacturers and producers they serve will streamline packaging costs and help keep the packaging supply chain tight in 2015. By strengthening relationships throughout the packaging process – from design through product management, contract packagers will continue to expand service offerings and their ability to respond quickly to custom requests. For flexibility and efficiency, packagers are delaying some parts of the design process until the final stages of production. For example: Creating standard labels, with customizable portions suited for last-minute messages to consumers, enables producers to send timely, personalized slogans or promotions directly to their target audiences. In some cases, shifting printing responsibilities to packagers, rather than relying on printers, is the most cost-effective approach. In practice, the adaptable strategy conserves materials and aids warehouse inventory management. 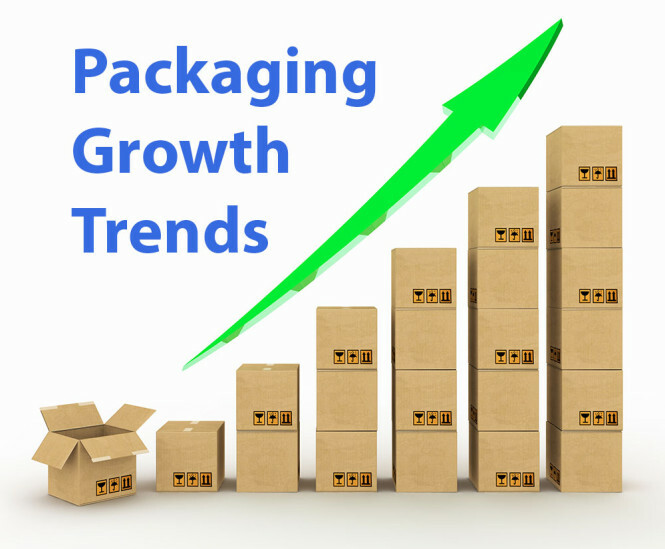 The Contract Packaging Association estimates that the industry has doubled in size since 2008. With that type of growth and packaging innovators’ willingness to expand services in 2015, the industry is poised for continued gains in the new year. Food and beverage, pharmaceutical and personal care products continue to furnish a large share of contract packagers’ business, which won’t shift dramatically in the coming months. In fact, the call from these industries will continue to increase for contract packagers, as increasingly dynamic solutions are required. Technology plays an important role in the future of packaging contractors, with serialization, digital printing and advanced robotics leading the way for cutting edge providers. Integrating the latest technology into the packaging process includes streamlining and economizing through more efficient production methods, but technology also finds its way into packages themselves, pushing the envelope on materials and merchandising capabilities. Contract packaging is a growing business, paving the way for providers of all sizes to make gains in the coming year. Pharmaceutical packaging alone, valued at $50 billion in 2011, will purportedly grow to an annual industry worth more than $73 billion, by 2018. Through innovation and expanded services, successful packaging contractors will continue to meet the evolving needs of producers and consumers, capturing their share of the swelling packaging market. Sustainability and customization will continue to drive contract packaging trends in 2015, leading to growth in CPG like personal care products, food and beverages. Integrating technology and reducing the amount of packaging materials used are additional forward-thinking goals shared by contract packagers and their clients. One thing that packaging companies need to remember is that as technology advances in a number of areas and different fields packaging is no different. As part of innovation and technology companies need to make sure that their packaging is staying up to date, this might seem like a strange thing to say but as this blog describes there are a number of things that can be done to keep up with the digital age, http://www.abbeylabels.co.uk/blog/bring-labels-digital-age. Doing something unique is always going to grab buyer’s attention as so having bespoke packaging and labels created is a brilliant idea.